This is the story of how I wound up with Steve’s Towee. Be warned, this is a sad tale of stupidity and poor trailer management. You might want to shoo the little ones out of the room. Like most times in life that I do idiotic things, this day was no different. I had just picked up the truck from the mechanic with a new fuel pump that not only cost me $600, but even more importantly cost me two days of wife/kid-free fishing plans. In a hurry and pissed off, I tried to attach the trailer to the truck so as to move the boat into the garage from the one other flat spot on the mountain where the tow truck driver had left it the day before. The only problem was there was no way for me to get the truck straight to the trailer without driving off the mountain. So I figured I would come in at angle, get the ball halfway on, pull the boat out a little, chock the wheels and straighten up to it. Notice I never said I would put on the safety chains. Always put your safety chains on kids. Always. Everything seemed to be going smooth for about five seconds, and then the trailer came smoothly off the ball and rocketed itself down my mountain directly into a tree. I really can’t even describe the gut-wrenching feeling in my stomach as I watched my beloved sail down the mountain in my rearview mirror. The closest I can come is, it’s like the stomachache one gets when your friend just nicks your testicle while trying to nut you, deep and painful. 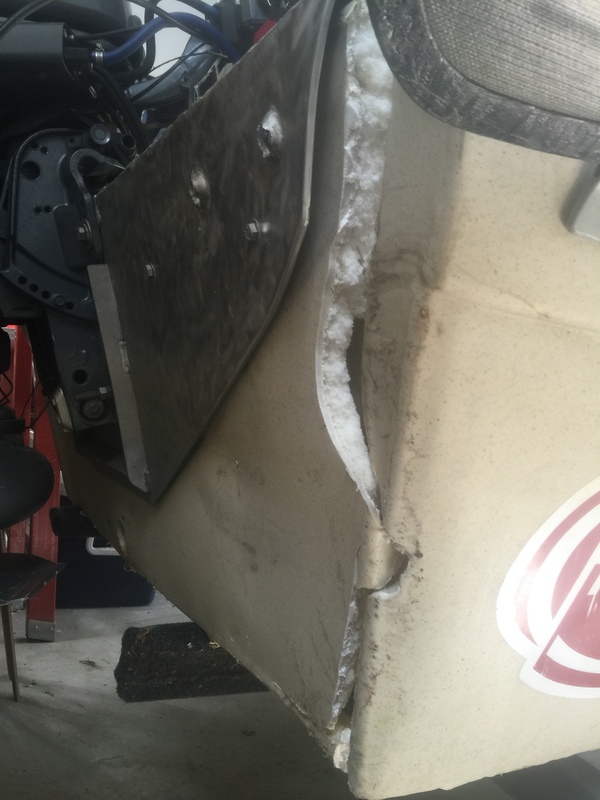 The aftermath was a completely broken out transom, and an entire jet boat full of self-loathing. The boat is being cannibalized as I write this to pay for my new boat, which is Steve’s old boat. The hull — now rendered useless — will be incorporated into my kid’s play set (maybe as a sand box)? The only thing I’ve learned from this incident is that I’m an idiot. A giant idiot. It’s been a month now, and as I write this, my stomach aches no less. I’m considering having a set of scarlet safety chains tattooed on my person like an “A” so I never forget again, and my shame will be on public display forever more.